I promise it is a universal struggle. I glean great reassurance just from Julie A. Ross’ title How to Hug a Porcupine because it reminds me I am not alone. Suddenly, an unsettled feeling may permeate our homes. We embraced the early years, navigated the school-aged season and now….it feels like someone changed the rules. Staying connected to our teens can be especially challenging when they appear to thwart our efforts. For a while, we may feel like our status changes from Hero to Tolerable. Almost overnight. Stereotypes abound about eyerolling or closed doors, but experiencing it first-hand is very different. Oh – you don’t want to chat over breakfast? No problem. I’ll just keep staring at my coffee. Or we ask questions that seem reasonable until they are spoken out loud and met with muffled mumblings. Connecting with our teenagers can feel like asking someone to the prom. We present a timid offer and risk rejection. They’re not rejecting us. Our teens are just doing their job. As they extend, how can we stay close? While they separate, how can we bridge the gap? These are the questions parents ponder, myself included. As we fall asleep and when our eyes open to a new day. Recurring themes become my signal to deep dive into issues and call on experts. Parents I know in real life, fellow writers and professionals who speak to this regularly. You will love their wisdom. Any parent-teen relationship can benefit from these practical ideas. Even if you are soaring through this stage in an uncomplicated way. But remember: choose to be inspired, not overwhelmed. It’s the Lightly Frayed way. 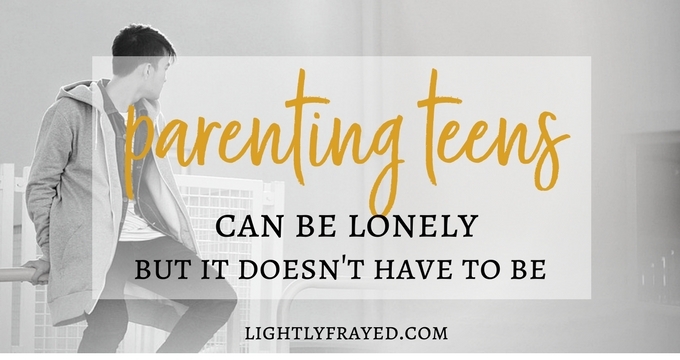 So, how can you connect with your teenager, when they seem distant? If your teenager no longer responds to affection in the way they used to, don’t despair. I grew up learning about Love Languages by Gary Chapman. 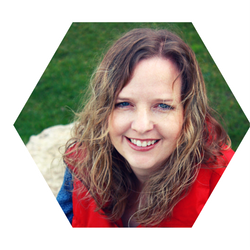 When our teens pull away, we may have to try another plan. If they no longer want to be hugged, try reaching them through affirming words or acts of service. Better yet – have them take this online quiz so they can understand their own wiring. Focus on the Family. Any challenge in parenting feels magnified when we believe it is unique to us. And we will be less connected with our teenagers if we act out of fear and isolation. 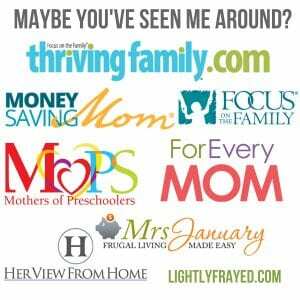 We need other parents to journey with us. But the stories of our teens are no longer ours to tell. This tension is pondered here. Yesterday I asked my son if he emailed his friend about a change of plans. He replied lightly, “I messaged him Mom. Nobody emails. Just looking out for you.” Our teens may not expect us to be completely current, but the more relevant information we have, the better. For them. For us. Every parent of teens should sign up for Axis‘ Culture Translator for weekly bullet points on staying current. Our girls desire independence and alone time, which we give them, within limits. When they are responsible, their “ropes” lengthen and they earn more independence (THEIR WIN). Then they are much happier participating in activities with family and friends such as get-togethers, dinners, hiking, and game nights several nights in a row (OUR WIN) [email protected] The Years. At Lightly Frayed, we make a choice to be inspired, not overwhelmed. 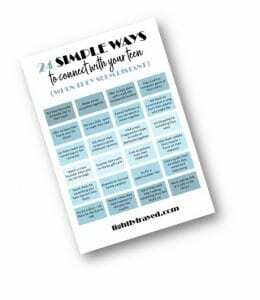 Choose one or two ideas to try – even simple changes can pivot your relationship. For parents who have a hard time carving out time to research, I am here to serve you by collecting tips and offering a calorie-free buffet. 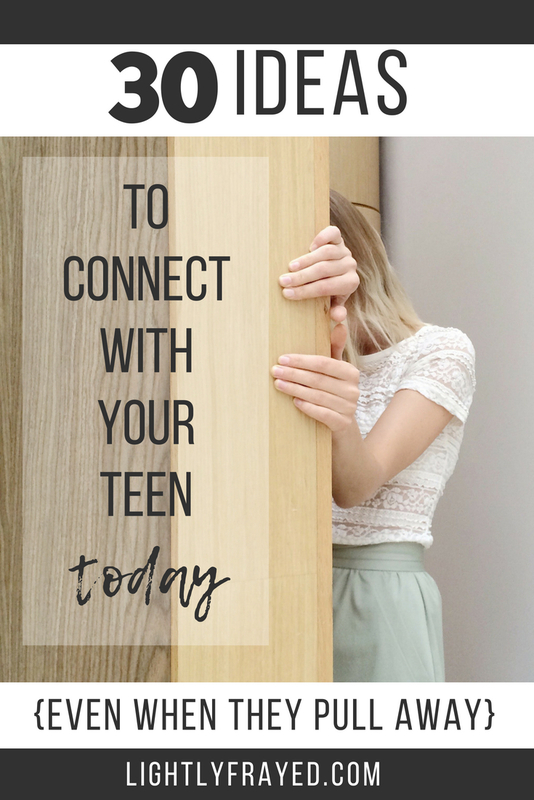 May this insight from parents and experts offer you hope to keep trying to connect with your teenager. Be creative. Have fun. And operate from their perspective that their job is to extend. It is liberating. Bookmark this post and keep coming back whenever you need perspective or a pep talk. Or connect with me by email: [email protected] With two teens, one tween and a little caboose, I really understand and would love to encourage you further. What a great post!! I really enjoyed reading it and hearing all the great advice. Can’t wait to share:) Awesome!! You are very welcome. It has been a great resource for us so far. Aw – thank you Esther! It was compiled with much love for all parents of teens. It’s a complicated but fabulous season. 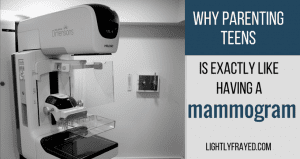 Thank you, Karen, for this great article! I almost laughed out loud at the beginning when you made the comment that it feels like the rules suddenly change when our kids get to their teen years.Yes! Patience and perseverance are key qualities to have as parents, especially when our kids are teenagers. I once read that our goal as parents is to give our kids roots and wings. They are growing up to be independent and productive (we hope and pray!) and that takes a lot of work and trial and error. Maintaining a good and trusting relationship with them is so important. Oh Mary – yes to giving roots and wings – what an excellent description of our roles. I’d love to hear about the ages and stages of your kids, if you want to email me directly. Thanks for taking the time to comment – that really means a lot. 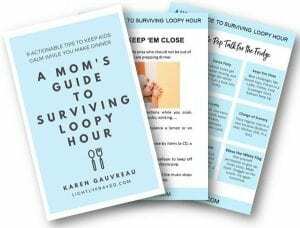 This is such a great resource for parents of teens. 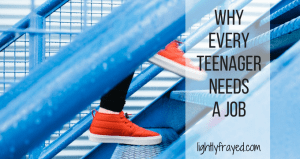 It is power packed with how to understand your teen so you can make that connection. A really great read.